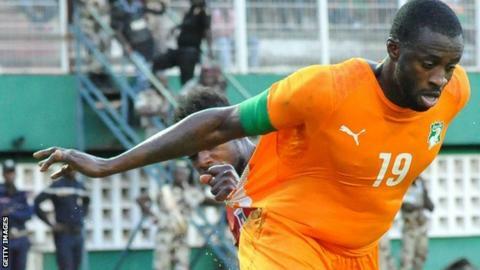 An Ivory Coast team lacking its talismanic captain Yaya Toure launches this weekend what they hope will be a 10-match climb back to the pinnacle of African football. The reigning Africa Cup of Nations champions have a Group I date with fellow west Africans Sierra Leone in Port Harcourt. It will be the first of four qualifying games for the Elephants as they seek to top the table and secure a place at the 2017 tournament in Gabon. Ivory Coast had a bye last June in a three-team mini-league completed by Sudan. New France-born Ivory Coast coach Michel Dussuyer must do without Manchester City stars Toure and Wilfried Bony plus Newcastle United midfield enforcer Cheick Tiote. Toure, voted African Footballer of the Year a record four consecutive times since 2011, asked to be excluded while he considers his international future. Now 32, the midfielder suffered a dip in form when he returned last February from the triumphant 2015 Cup of Nations Cup campaign in Equatorial Guinea. Dussuyer, a former goalkeeper who guided Guinea to the Cup of Nations quarter-finals this year before quitting, hopes Toure is taking only a temporary break. "I met Yaya in London and said I was counting on him to continue," said the successor to compatriot Herve Renard. "He is a great footballer and I hope he is going to resume his adventure with the Elephants." Burly striker Bony is injured and Dussuyer says Tiote did not respond after various attempts were made to contact him. The Ivory Coast coach will be pleased by the recent Uefa Champions League form of Seydou Doumbia with CSKA Moscow. On loan to his former club from Roma, the striker scored twice during a dramatic play-off triumph over Sporting Lisbon that secured a group place. Ghana-born Sierra Leone caretaker coach Sellas Tetteh does not believe the absence of Toure will weaken the two-time African champions. "The absence of Yaya will not make our task easier," said the coach who guided Ghana to 2009 world youth championship glory and had a short spell in charge of Rwanda. "I recently inherited a Sierra Leone squad with low morale after several losses. My immediate task is to restore confidence and end the run of defeats." Ivory Coast defeated Sierra Leone 2-1 and 5-1 in 2015 Cup of Nations qualifiers with both matches staged in Abidjan because of the Ebola virus. In-form Leicester City winger Riyad Mahrez travels to Lesotho with Algeria, the top ranked African team who will expect three more Group J points after overwhelming Seychelles three months ago. Mahrez bagged four goals in his first three English Premier League matches and Dinamo Zagreb striker El-Arbi Hillel Soudani is another impressive Europe-based Desert Fox. Ghana midfielder Andre Ayew hopes he can replicate his three-goal form with Swansea City in a top-of-the-table Group H clash away to Rwanda. Ayew missed the 7-1 mauling of Mauritius while Rwanda created a shock under 30-year-old Northern Ireland-born coach Johnny McKinstry by winning in Mozambique. Nigeria begin life under former star Sunday Oliseh away to Tanzania in Group G without Chelsea midfielder John Obi Mikel, who did not answer calls from the new coach. Record seven-time African champions Egypt are in the same mini-league and hope cloudy midweek weather in often scorchingly hot Chad continues as they seek a return to the big time after three failed qualifying campaigns. Group M outsiders The Gambia and Mauritania must be encouraged by their recent form as they prepare to host former African champions Cameroon and South Africa respectively. Gambia forced a 0-0 draw in South Africa under new Swiss coach Raoul Savoy and Mauritania held Cameroon goalless in Yaounde until Vincent Aboubakar snatched a final-minute match-winner. Minnows Swaziland caused the biggest upset in the previous round of matches by winning away to Guinea and will bank on more goals from experienced midfielder Tony Tsabedze when they host pointless Malawi. The 2017 Cup of Nations line-up will comprise the 13 group winners, the best two runners-up and hosts Gabon. Liberia will host their first full international match since the lifting of an Ebola ban when they play Tunisia in Monrovia. The Lone Stars last hosted an international in May 2014 when they beat Lesotho 1-0 in a Nations Cup qualifier in the capital. They were subsequently banned from hosting any international soccer as the outbreak of Ebola virus led to some 4,800 deaths in the west African country. The suspension was lifted this May when the World Health Organisation (WHO) declared the country fee of the deadly haemorrhagic fever. Emmanuel Adebayor's love-hate relationship with Togo's national team continues. The striker didn't respond to a call-up from his country for Friday's game in Djibouti after a row following the last qualifier when he was overlooked for the captaincy. Togo did not appear to miss Adebayor, winning the match 2-0. First half goals from Serge Akakpo and Jonathan Ayite giving Togo the victory. The 13 group winners and two best second-placed teams will qualify for the 2017 Cup of Nations to join hosts Gabon.